2. The Way Sect Bloom - "Stir Me Up"
4. Situation Taboo - "Retaliate"
5. The Way Sect Bloom - "Illumina (FlIaRsStT)"
6. Colossal Spin - "Everything (Epic Mix)"
7. Cybershadow - "Don't Fear Your Future (ReBirth ReMix)"
8. Joshua Bourk - "Seven (I.V.88 Remix)"
9. Sixty Below - "Rendered"
10. Blank Face - "On the Cross"
11. Paragon Null Vs. Vertigo - "Power-less"
13. globalwavesystem - "Life and Works"
14. Sleepy Hollow - "Sacred"
16. Phase - "Lover of my Soul"
*This track by Red Rum Trance/Matt Frantz is not on the Red Rum Trance (Zero Tone) full length release, and is otherwise unreleased. "...This compilation is by far my personal FAVORITE INDUSTRIAL ALBUM OF THE YEAR... Several songs are emotionally driven. I can't explain it, but the Paradox track spoke to me greatly, and I have to say that it's become a favorite song of mine. It's because of albums like this that we are able to keep extreme music alive. Industrial is more than just a form of bizarre electronic music, it's extreme music. PCE is an unusual comp because it features songs that are uplifting, encouraging, and exciting. I'm sure that FANS OF CIRCLE OF DUST, KLANK, DIETOPHOBIA AND MORTAL WILL LOVE THIS CD. I would also say that most of the music is along the lines of dance industrial. But there are several tracks that could be considered gothic and sort of darkwave too... Most industrial fans would enjoy this, and I would encourage everyone with any type of interest in this genre to grab this quickly! 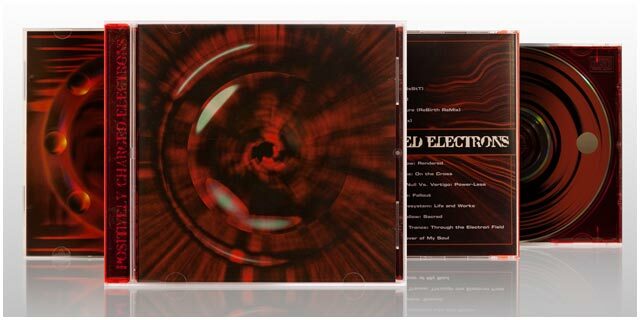 PCE has a total of 16 tracks, perfect production and artwork by Matt Frantz...To finalize the review, however, I strongly recommend this CD for anyone looking for some industrial that covers every sub genre of electronic music."